I love Mexico. It’s a vibrant, beautiful country filled with friendly people, a vivacious energy, amazing architecture, and delicious food. There’s a lot more to Mexico beyond the stereotypes. One of the world’s great civilizations, Mexico offers a tantalizing blend of Meso-american cultures, Spanish traditions and contemporary arts. 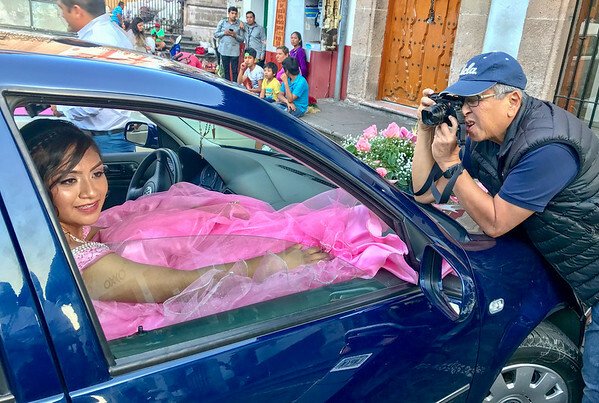 Mexico offers photographers limitless opportunities to photograph the people, culture and cityscapes. 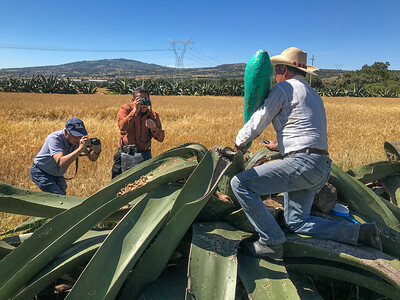 Join Keith Skelton and Armando Arorizo for our second annual Mexico photography workshop and tour. This is a cultural and street style photography workshop. We will be using nearly all our time from dawn into the night to shoot a variety of subjects and scenes including people, architecture and cityscapes. You will improve your skills while experiencing an amazing slice of the country. We will practice both candid and posed portraits taking advantage of natural scenes. All should return home with new found experiences and dynamic photographs. As one of the largest cities in the world, Mexico City there is a lot to do. You’ll find world-class museums, sprawling markets, tons of historic buildings, squares, parks, and sights. 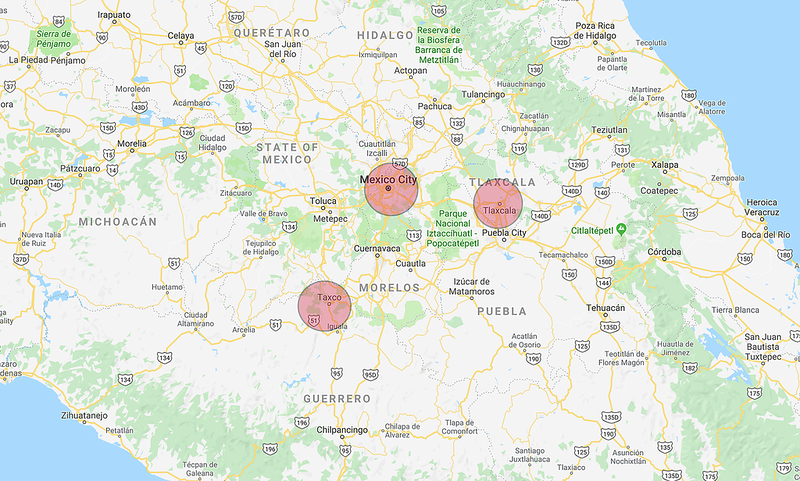 Despite Mexico City’s huge scale, most of its tourist attractions are all centered around a fairly small geographical area so it’s easy to see everything. The Zócalo is at the heart of Mexico City and it encompasses the Templo Mayor and the Palacio Nacional. 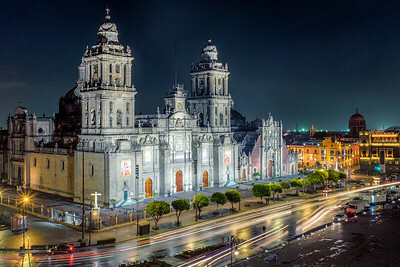 Situated just off the Zócalo is La Cathedral Metropolitana a magnificent cathedral fortified with gold and a beautiful example of Spanish colonial architecture. Teotihuacan (te-aw-tee-wah-kahn) the "birthplace of the gods" is the amazing ancient Meso-american city located 30 miles northeast of Mexico City. It was the largest urban center of Meso-america before the Aztecs, almost 1000 years prior to their epoch between 1300 to 1521. A once in a lifetime experience and hard to miss photographically. Tlaxcala City (tlahs-kah-lah) is a colonial gem in central Mexico. It remains largely undiscovered, despite its location a two hours' drive from Mexico City. The Plaza de la Constitución, also known as the Zócalo, boasts of impressive colonial buildings. Our Lady of the Assumption Cathedral sits adjacent Jorge Aguilar “El Ranchero” Bullring. We will also visit the Hacienda San Diego Xochuca known for it's amazing pulque, a beverage has been made since pre-Hispanic times. 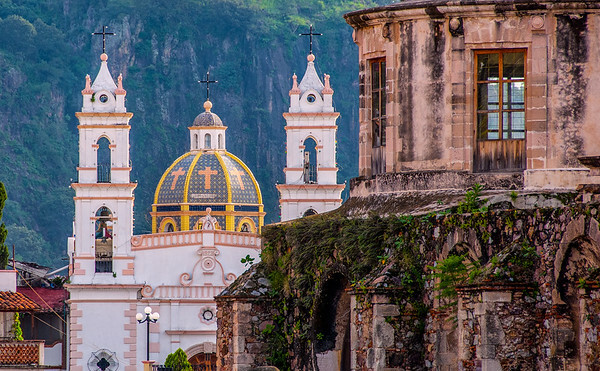 Taxco(tass-ko) is just 100 miles southwest of Mexico City is one of Mexico’s most beloved colonial towns. Perched on steep hillsides, Taxco was once a silver mining town and is now best known for its silver craft. There are many shops throughout the town to buy inexpensive quality silver jewelry! Taxco is picturesque with white stucco buildings with red-roof tiles, winding cobbled streets, antique churches, and romantic little plazas overlooked by bougainvillea-laced balconies. It has been declared a national heritage site by the government. This workshop has two options. The full tour will include Mexico City, Teotihuacan, Tlaxcala, and Taxco. It will run from November 3-11, 2019. The second option will include Mexico City, Teotihuacan and Taxco and it will run from November 6-11, 2019. SUNDAY - NOVEMBER 3, 2019: We will meet in Mexico City late in the day allowing people to travel. There will be pickups at the airport. We will have orientation and introduce each other before heading out for a meal. MONDAY - NOVEMBER 4: We will travel to Tlaxcala in a modern custom bus. after hotel check in we will head out to photograph the city. Our deluxe hotel is right in the center of activity. TUESDAY - NOVEMBER 5: We will travel about one hour to the Hacienda San Diego Xochuca known for it's amazing pulque. we should have a chance to photograph some rural pulque harvesters. 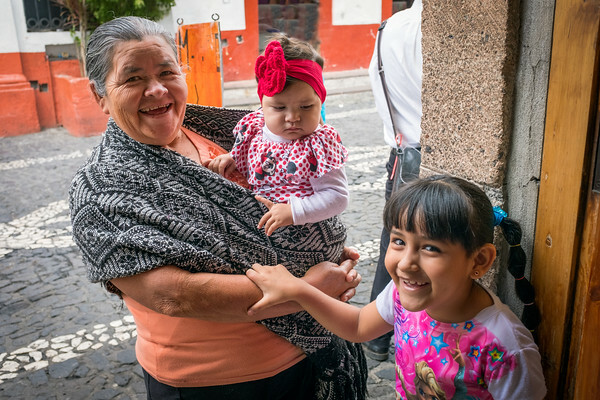 We return to Tlaxcala for more street shooting and a local restaurant. WEDNESDAY - NOVEMBER 6: After a morning shoot we will transport back to Mexico City to photograph the Zócalo. The second half of the workshop begins with participants arriving to Mexico City. THURSDAY- NOVEMBER 7: We will explore and photograph Mexico City, Cathedrals and Zócalo. 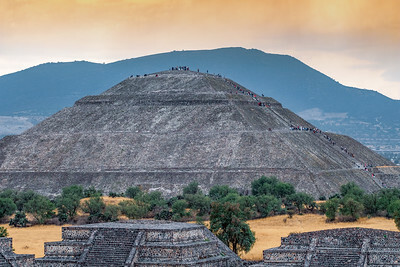 FRIDAY-NOVEMBER 8: We take a comfortable private bus to photography the ancient city of Teotihuacan. Afterwards we will travel by private bus to the silver city of Taxco. SATURDAY-NOVEMBER 9: We will start out early and spend the day exploring the narrow streets. There will be many photographic opportunities. SUNDAY-NOVEMBER 10: This is a full day of photography in Taxco. MONDAY-NOVEMBER 11: We transport by private bus in the morning back to Mexico City airport for afternoon/evening flights home. Armando Arorizo is a freelance Photojournalist with over 18 years of experience. He has shot everything from Presidential Inaugurations, the Academy Awards to the NBA Finals. He is currently a contract photographer with the Prensa Internacional and Agencia EFE News. He is also owner of the Perfect Exposure Gallery In Los Angeles. Born and raised in Mexico, he is fluent in both English and Spanish. He has previously led “The Art of Street Photography” photo workshops. Keith Skelton began his career as a photojournalist moving to a career in commercial photography working since 1980. He has been leading California Photography Workshops for the last ten years teaching hundreds of adult students from around the world the skills of landscape, urban and street photography. 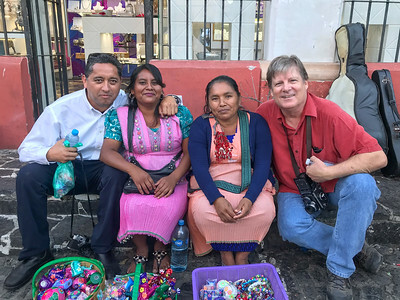 Keith has traveled to and photographed Mexico numerous times since 1968. He is a graduate of Brooks Institute of Photography. *Note that there is considerable walking and steps on this tour. Please make sure you are in good physical condition and able to walk 3-5 miles a day. Please make your return flight on Nov. 11 for 5pm or later! Taxco - Hotel Boutique Pueblo Lindo sit is the heart of Taxco with amazing views of the city. The suites are modern, comfortable and spacious. The hotel has a rooftop restaurant and sitting decks all around. One just walks out the front door to experience the sites of the city. Tlaxcala - Hotel Posada San Francisco Tlaxcala sits directly across from the Zócalo and is in a prime location to explore the city. Airport transfers (Mexico City Benito Juárez International Airport). Nov 3 - Wyndham Polanco Hotel. Nov 4 - Private Sprinter bus to Tlaxcala. Nov 4-6 - Hotel Posada San Francisco Tlaxcala and Buffet Breakfast. Nov 5 - Visit to Hacienda Xochuca. Nov 6 - Sprinter bus to Mexico City. Nov 6-8 - Gran Hotel Mexico City Junior Suites with view of Zocala and complete breakfast bar. Nov 8 - Private Sprinter bus to Teotihuacan ruins and to Taxco. Nov 8-11 - Hotel Pueblo Bonito Taxco and continental breakfast. Nov 11 - Private Sprinter bus to Mexico City Airport. Expert instruction and guidance from two experienced photography instructors. Every student will receive personal attention in whatever needs you may have including street photography, BW photography, camera skills, working with people and more. Time allowing we will process and/or study images using Adobe Lightroom. WHATS NOT INCLUDED: Airline tickets, lunch/dinner, tips, gallery entrance fees to museums/ruins, and drinks. We will eat together but it is not required. CLIMATE: Mexico City (7,000’) and Taxco (5000’) are both at high elevations so the climate in mild ranging between 80-45F. We will check the forecast before departure. https://weather.com/weather/tenday/l/Mexico+City+Mexico+MXDF0132:1:MX Generally one should have good walking shoes, light clothing, rain jacket and long trousers. HEALTH: Visit your health professional 4 to 6 weeks before departure to check on possible immunizations you might need. CDC site HERE. On all my travels I carry a prescription for the antibiotic CIPRO which is good in case of bacterial infection. Most doctors will prescribe for travelers. Travel Insurance is highly recommended. World Nomads has good coverage. https://www.worldnomads.com Look for the coverage that includes evacuation insurance. Workshop reservations are on a first come, first serve basis. Please provide a phone number and email address. I have training in both CPR and First Aid. However, you will be asked to sign releases forms before attending the class. The class will be limited to 12 people. There is a 10% discount for returning students. Contact calphotoworkshops@earthlink.net with any questions. The Nov 3-11 workshop fee is $1995. Travel fees are $1950. The Nov 6-11 workshop fee is $1395. Travel fees are $1450. Prices are subject to change depending on the number of participants. YOU MAY PAY 50% IN ADVANCE WITH THE BALANCE DUE BY SEPTEMBER 1, 2019.